I’m wondering if you have things in your life you’d just as soon not have hanging around. Things you aren’t real proud of that scare, surprise or even shock you. If you do, how do you respond to them? 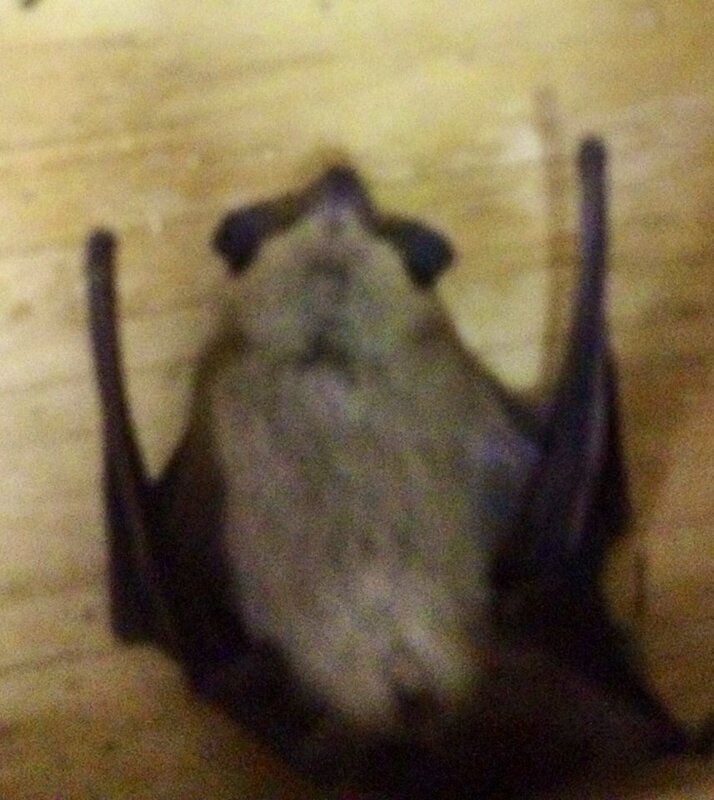 This bat died of old age. We didn’t hurt him. 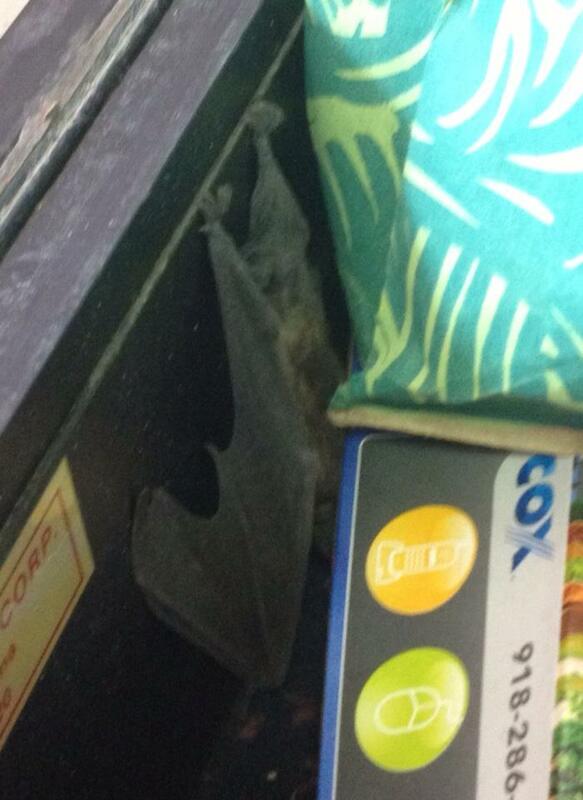 We have REAL bats at my office. You know, those little rats with wings? Yes, bats are good for the environment, they eat bugs, but they aren’t really great in the work place, if you get my drift. 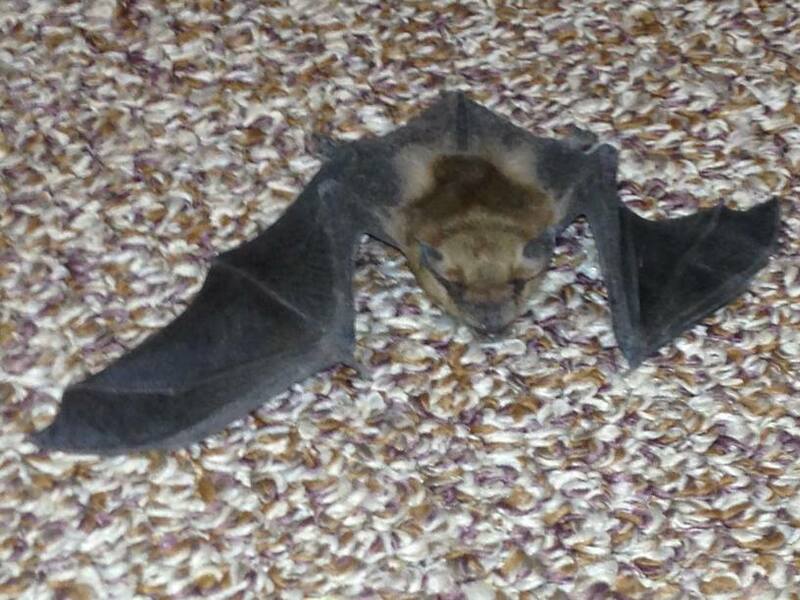 Bat crawling in the hallway. 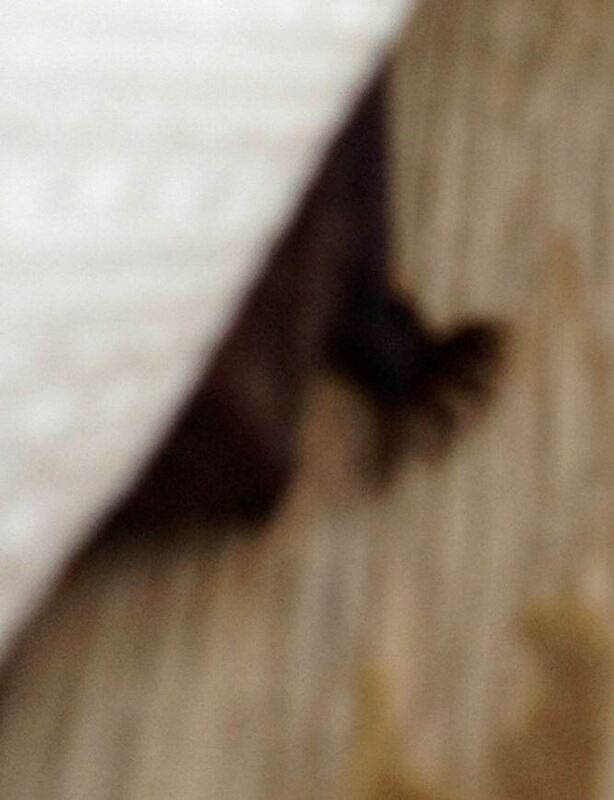 Bat toes under a paper towel. Someone in the office (not me) will calmly get a paper towel, gently pick the little guys up and take them away. We’ve tried several ways to get rid of them. A year or two ago, we had someone come and close up any tiny hole they might get into. (Last year we only had one bat that I can think of.) But with the heat and lack of rain, the hole filler must have shrunk and we’ve got unwanted visitors again. We’ve talked to pest control people, but they aren’t the answer. We haven’t found live bat traps. I put the stuff out–but it really does smell. And since people work in the office and they don’t like the smell any better than bats do, it might not be a long term answer. But if we can get the bats to leave, we can close up those holes again. Maybe permanently. Sometime last night, I got to thinking about bats at the office and sins in our lives. Did you ever have anything that you thought you’d gotten rid of only to have it come crawling back up the hall of your mind again? Or have you ever been rocking along, doing pretty well when you move something and (shriek!) there’s that sin! Again!!! I’m not telling you how to fix it (Gotta take care of my beam before I can help with your splinter.) but I know the Man Who can get rid of them. Categories: Small World | Tags: Bats, Christ, mammals, sin | Permalink. 5 Trust in the Lord with all thine heart; and lean not unto thine own understanding. 6 In all thy ways acknowledge him, and he shall direct thy paths. Did you ever think if we really believed and trusted, He would take care of the “bat” fear? 🙂 Not preaching, just a thought. I’ve actually thought that about a number of subjects. Tornados. Bats. Snakes. Illnesses. Surgeries. Scorpions. Lots of things that I have gut reactions to that don’t spotlight my faith. It makes me sad that after all these years, I still struggle with bats. BTW: Preach all you want. I love it. I did remember what you reminded me of what I forgot? Does that compute through my keyboard? Hope so. The effectual fervent prayer of a righteous Mother, Grandmother, Aunt, Cousin, etc. availeth much. Didn’t quote James, but you get the idea. Not sure I’m gonna confess my sins to anyone, but God knows them already. 😦 But the second part of James 5:16 still working wonders. You know, Larry, if you ever run out of gardens to do your magic on, there are probably some pulpits that could use your help. You do a great job.